Dr. Matsumoto graduated in 1982 with a Bachelor of Science degree from Pacific University in Forest Grove, Oregon. He later earned his Doctor of Optometry degree from the College of Optometry at Pacific University. Dr. Matsumoto opened his practice in 1987 at the Gentry Waipio Medial Building, and continues to serve the patients of Leeward Oahu. Dr. Matsumoto is a member of the American Optometric Association and the Hawaii Optometric Association. 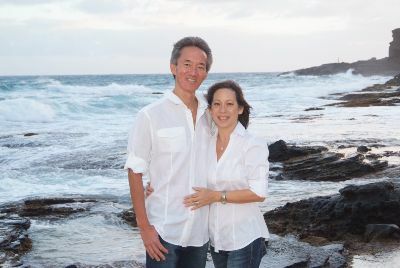 Dr. Matsumoto currently resides in Honolulu with his wife , Dr. Milly Remmers . He is proud that his two grown children have elected to enter the medical field, serving with their patients with compassion and kindness. Two stray cats have filled the empty nest, while running, swimming and bicycling have become his new activities outside of the office. Born and raised in Honolulu, Dr. Remmers graduated from the University of Hawaii at Manoa, majoring in Biology. She then earned her Doctor of Optometry degree from the College of Optometry at Pacific University, graduating with Honors in 1986. She is an active member of the Hawaii Optometric Association, the American Optometric Association and Phi Theta Upsilon.